presented at the Gothenburg (Göteborg) Motor Show. This week-end Volvo Cars and Polestar enter their fifteenth consecutive motor sport season in the Swedish Touring Car Championship (STCC) as champions. But even before the racing cars exit the pit for the week-ends' first practice session, Polestar present the ultimate Volvo car for the street. The main objective with the Volvo C30 Polestar Performance Concept Prototype is to explore what happens when racing engineers and designers get free hands to build a street car without any limitations set by a specific racing regulation. Polestar has a long and successful competition history with Volvo, racing with 850, S40, and S60. In 2009, Polestar won the STCC for Volvo Cars with the C30. The close relationship between Polestar and Volvo Cars in testing and development has lead up to Polestar receiving the responsibility to develop Polestar Performance Engine Optimisation Products as a complement to Volvos standard cars. These products are sold through Volvos dealers on several markets and are the only engine optimisations for Volvo cars covered by Volvos original warranty and where the certified fuel consumption and emissions remain unchanged. 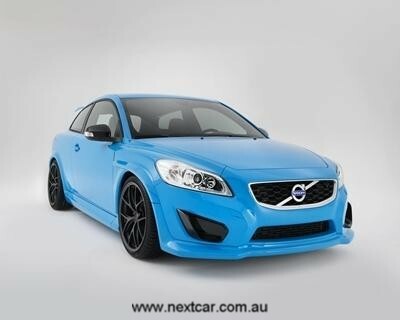 With the Volvo C30 Polestar Concept Prototype, Polestar aimed to build further on the driving characteristics of the standard C30 and at the same time illustrate the link between the racing cars and the Polestar Performance products. The car is based on Polestars unique experience from developing the Volvo C30 into a winning race car. The interior and exterior design reflects Polestars know-how on the C30's aerodynamic and driving properties derived through several years of development and testing - from computer simulations, to wind tunnel and race track testing. The car premiered in Sweden, at Gothenburg Motor Show (22nd-25th April).